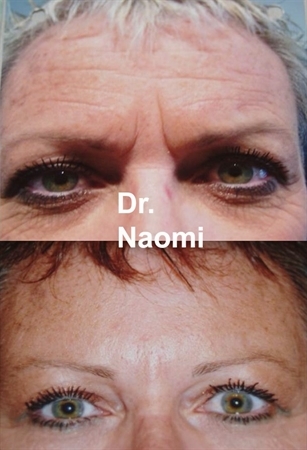 Frown lines are one of the most common areas on the face for injectables. Sometimes after muscle-relaxing injections, the lines are still there and require fillers. 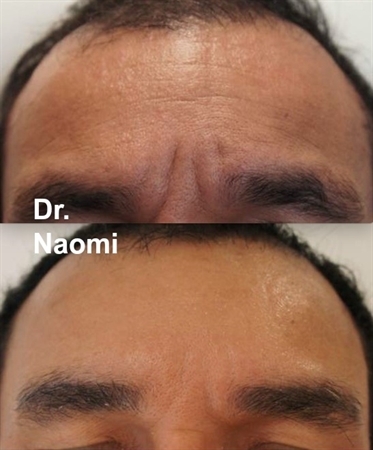 Frown line filler is an advanced technique and available at our Sydney clinic by experienced doctors. When a frown line is being assessed, an important factor to look for is: Is the frown line or fold etched in at rest (ie when the patient is frowning). These questions can get beyond annoying over time. Those patients with deep frown lines/ folds also hate that it gives them a cranky or negative appearance. The frown line is genetically determined and also affected by how much we frown. It will often run in families. Some patients wake up to a deep line because they frown in there sleep all night. Some people were born to have minimal frown lines, and others were born, destined to have deep vertical crevices between their brows. For those who weren’t lucky enough to start muscle relaxing injections early enough, it is so simple to just inject dermal filler them to improve the appearance of the etched in lines. What happens during the dermal filler in frown line filler treatment itself? Local anaesthetic may be injected into the frown line area. Injecting can be quite difficult, as placement has to be spot on. If the injections are too deep, they won’t lift the frown, but if they are too superficial, the dermal filler will come out the pores while injecting. In cases where this is proving difficult, we will have to inject through many more injection points from different directions etc, to get better filling of the line. This can lead to increased redness and swelling. Another consideration is that the body does not like to go from having a deep fold / crease / line to immediately being smooth. It must be slowly opened up over time, with partial improvements. Often this is the case with dermal filler in the frown, so it can take up to 3 sessions of injecting dermal filler to get to that flat appearance. Cost is per syringe. Our clinic has a 1ml minimum, 1ml is from $1000.